MSRP $56945 Discount $6169. 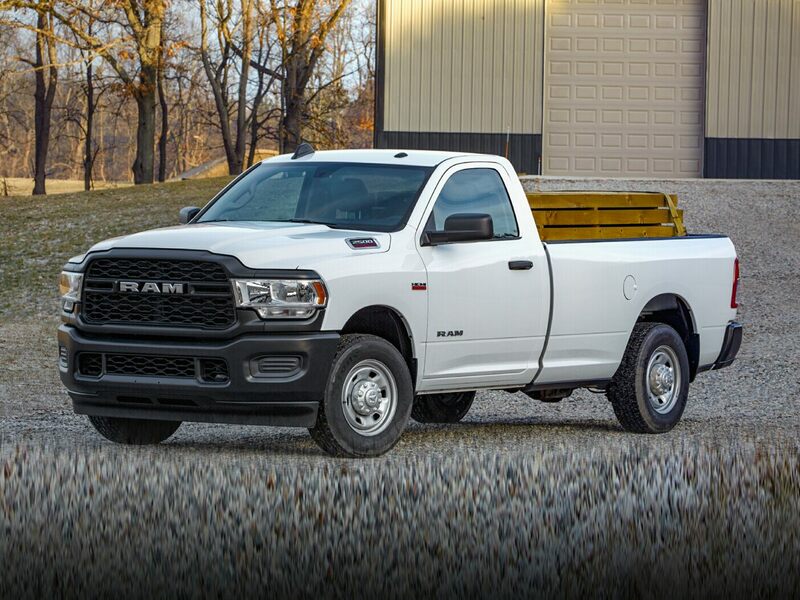 Expires 04/30/20192019 Ram 2500 Big Horn Steel Metallic Backup Camera, Bluetooth, Hands-Free, Heated Seats, 115V Auxiliary Power Outlet, 115V Auxiliary Rear Power Outlet, 1-Yr SiriusXM Radio Service, 2 Way Rear Headrest Seat, 2nd Row In Floor Storage Bins, 3.73 Axle Ratio, 4 Way Front Headrests, 40/20/40 Split Bench Seat, 400W Inverter, 8.4" Touchscreen Display, ABS brakes, Air Conditioning ATC w/Dual Zone Control, Apple CarPlay, Auto-Dimming Rear-View Mirror, Big Horn Level 2 Equipment Group, Center Stack Storage Drawer, Cluster 7.0" TFT Color Display, Compass, Dampened Tailgate, Dual Glove Boxes, Dual Remote USB Port, Electronic Stability Control, Foam Bottle Insert (Door Trim Panel), Folding Flat Load Floor Storage, Footwell Courtesy Lamp, For More Info, Call 800-643-2112, Front Armrest w/Cupholders, Front Center Seat Cushion Storage, Front Fog Lamps, Front Seat Back Map Pockets, Glove Box Lamp, Google Android Auto, Heated door mirrors, Heated Front Seats, Heated Steering Wheel, Illuminated entry, Integrated Center Stack Radio, Leather Wrapped Steering Wheel, Locking Lower Glove Box, Low tire pressure warning, Manual Adjust 4-Way Front Passenger Seat, ParkSense Front/Rear Park Assist System, Power 2-Way Driver Lumbar Adjust, Power Adjust 8-Way Driver Seat, Power Adjustable Pedals, Power Folding Mirrors, Premium Cloth 40/20/40 Bench Seat, Radio: Uconnect 4 w/8.4" Display, Rear 60/40 Folding Seat, Rear Dome w/On/Off Switch Lamp, Rear Power Sliding Window, Rear Window Defroster, Remote keyless entry, Remote Start System, Security Alarm, Steering Wheel Mounted Audio Controls, Sun Visors w/Illuminated Vanity Mirrors, Traction control, Universal Garage Door Opener, Wheels: 18" x 8.0" Polished Aluminum. ***Call (503) 258-5800 to speak to a Sales Manager*** Come in to Ron Tonkin Chrysler Jeep Dodge Ram Fiat in Milwaukie to test drive today! DL0087.